In one of its historical decisions the bench of Rajasthan High Court has instructed the traffic police of all the districts within the state to strictly collect the photos of car drivers who are found culprit for talking on mobile phone while driving. The high court also instructed the traffic police to forward the information about these car drivers to the regional transport authorities to cancel their driving license. The bench of Rajasthan High Court consisting of judges Gopal Krishan Vyas and Ramchandra Singh Jhala has instructed traffic police authorities to make sure that no car driver speaks on his mobile phone while he is driving. The court also instructed the RTO department to initiate the process of cancelling the driving license of the concerned person after he is given an opportunity for hearing his explanation. The order regarding cancellation of license has came after receiving huge complaints from the additional commission of Police (Traffic) saying about the huge number of four and two owners talking on mobile phone while driving or riding their vehicle. According to additional commissioner this is not permissible in the law and is regarded as the reason for accidents. On the basis of data received from different states within the country it is found that about 2138 people died in an accident while they were talking on mobile phone while moving. The bench of high court has instructed the traffic police of the state to send the photo and other information of such people to the transport department for cancelling their licenses. 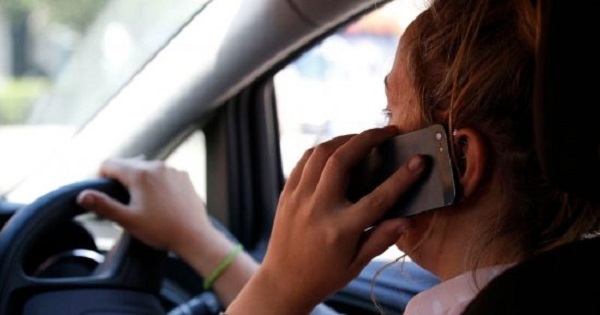 According to the recent report published by the World Health Organization the people talking on phone while driving or riding face four times higher risk for meeting an accident. The same times of results were revealed in a study conducted by the Save Life Foundation which stated that nine out of ten drivers were found culprit for talking on phone during driving. Recently the same concern was also revealed by Honorable Shri. Nitin Gadkari, Union Minister of Road, Transport and Highways, in his words, “People using mobile phone and taking selfies while driving are increasingly posing a risk to themselves and others as well.” After this decision of Rajasthan High Court it is believed that not only there will be substantial decline in the number of road accidents happening because of talking on mobile, but following the same practices the high court’s of other states will also pass on the same decision for controlling the accidents within their respective states.